The Enclosed battery motor is an electric motor which includes an integral 3v power pack. 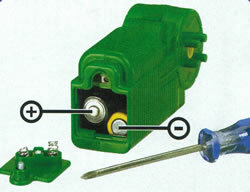 The power pack has a three-position switch allowing the motor to be run in either direction. It takes two AA batteries (not supplied). 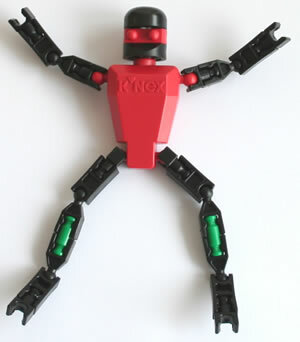 A number of K'NEX sets include Enclosed battery motors. 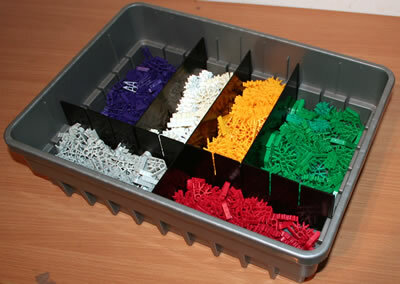 They can also be bought as individual items in our K'NEX shop. You will see in the shop that there are a number of different colours of Enclosed battery motor, each running at a different speed. To insert batteries into any colour of Enclosed battery motor, first use a small Phillips-head screwdriver to loosen the screw. Then insert 2 fresh AA batteries (LR6) into the compartment with the correct polarity (+/-), as shown in the photo. To build the Battery motor into a K'NEX model, simply push a classic K'NEX rod (quite hard) through the hole in the middle. Experiment by turning on the switch on the battery pack to turn the rod in each direction. The easiest way to attach the motor to your model is to fit a white connector onto the lugs at each side of the motor, as shown in the photo opposite. The photo opposite shows a battery motor connected into a vehicle. 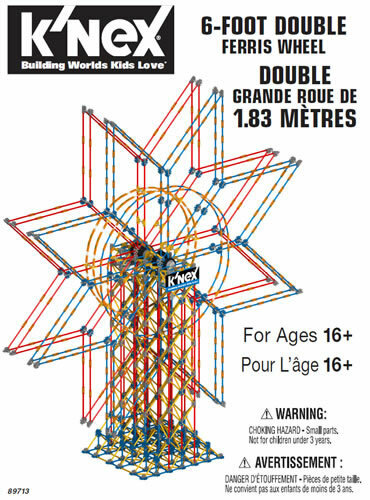 We would recommend the Enclosed battery motor rather than the Tethered battery motor for a K'NEX vehicle such as this, as there are no trailing cables. 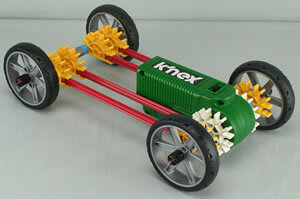 You can view lots of examples of K'NEX models powered by the Enclosed battery motor at K'NEX Motorised models to build.